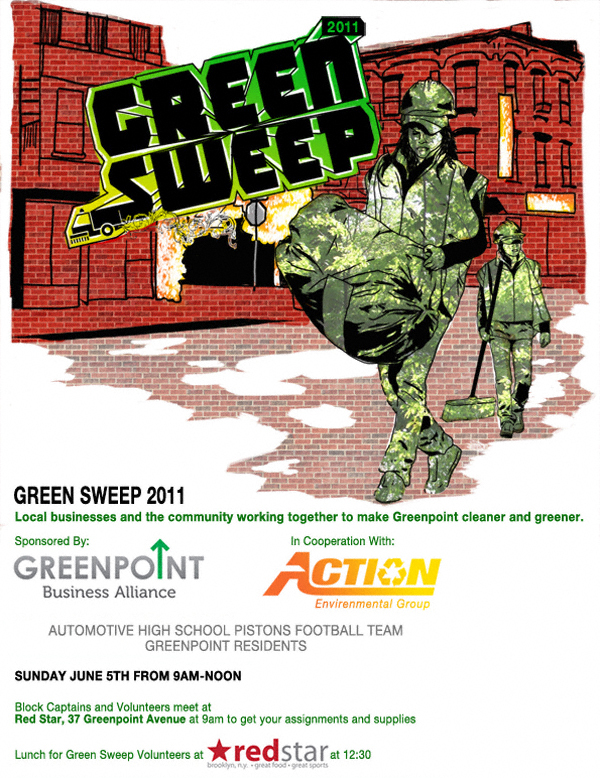 This is the flyer for this Sunday’s “Green Sweep” , neighborhood clean up. If you could show us some love and post it on your blog, it would be much appreciated. Gladly done! Those of you who would rather Greenpoint be the Garden Spot instead of the Garbage Spot mark your calendars, roll up your sleeves and be ready to get dirty for a good cause. Hey, you’ll even get a free lunch out of the deal! June 5, 2011 starting at 9:00 a.m.